What information can be recovered from a mobile phone? Each mobile phone has a unique identifier called its IMEI number, and almost all modern phones also contain a SIM card containing an IMSI number which uniquely identifies a customer. From these two identifiers alone, the authorities will have been able to trace the registered owner of the phone and the calls made and received, by requesting this information from the telecoms company. But phone call records are just the start. Mobile phone networks are cellular networks, constructed from a mesh of cells, each of which is an area of coverage provided by a radio transceiver base station. When switched on, a phone connects to and registers with a base station using its IMEI number, and the transceiver and handset will send paging messages between each other at frequent intervals to keep the connection established and detect if the phone is still within range. This information can provide a remarkably close approximation of where the phone is, or has been in previous seconds, minutes hours, days or weeks. And since all mobile phone networks interconnect at some point, this information can be recovered across Belgium and France, certainly, but also through most of the world. 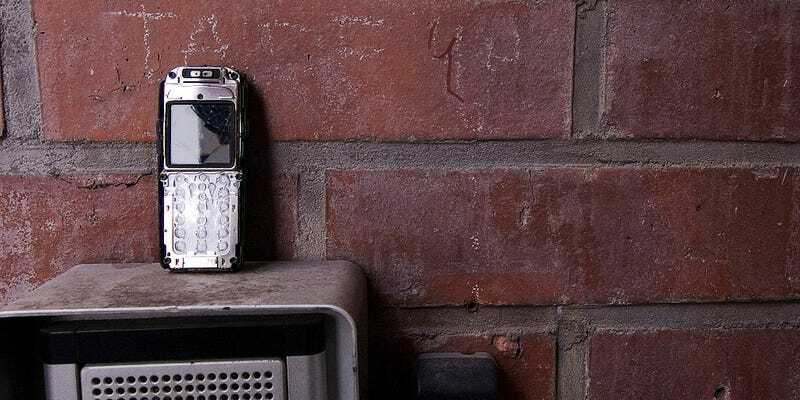 In densely populated cities the investigators will almost certainly have been able to locate the phone and its use to only a handful of addresses or apartment buildings. Combined with intelligence from police investigations it will have been possible to hone down the search to a small number of apartments using only the mobile phone network records. If however the phone was a smartphone with Wi-Fi capabilities that had been used to connect to Wi-Fi access points, these would provide investigators with an even quicker and more exact pinpoint to where the terrorists were hiding as the IP address is normally associated with a physical address. Image by Mikko Vento under Creative Commons license.